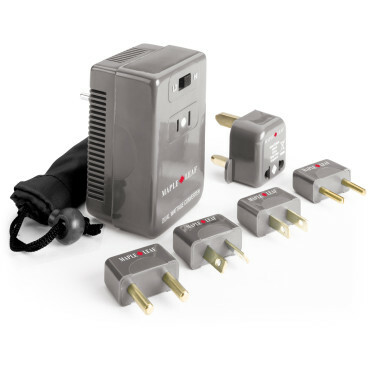 Engineered for global travel, this compact power management kit includes 1600 watt converter to transform 220V electricity to 110V–the standard in the U.S., Canada and Mexico. 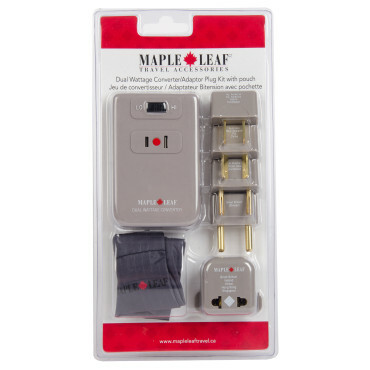 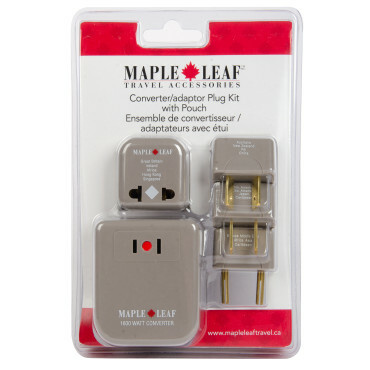 Comes with 4 country-coded adaptor plugs corresponding to top foreign destinations: the UK, Europe, Asia, Australia, Africa, the Middle East and North and South America. 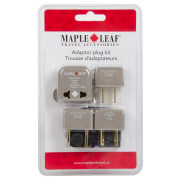 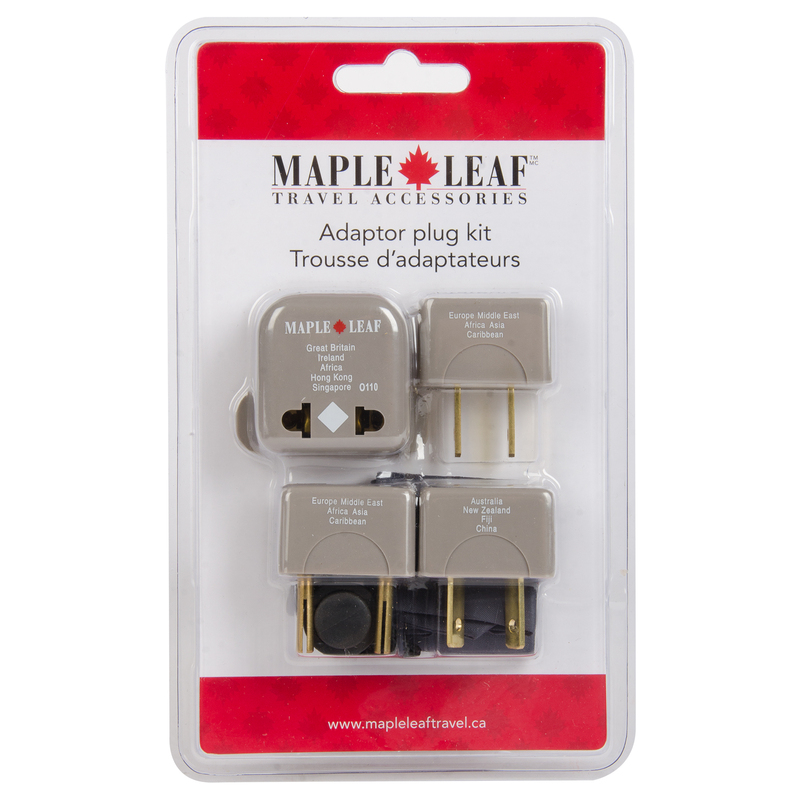 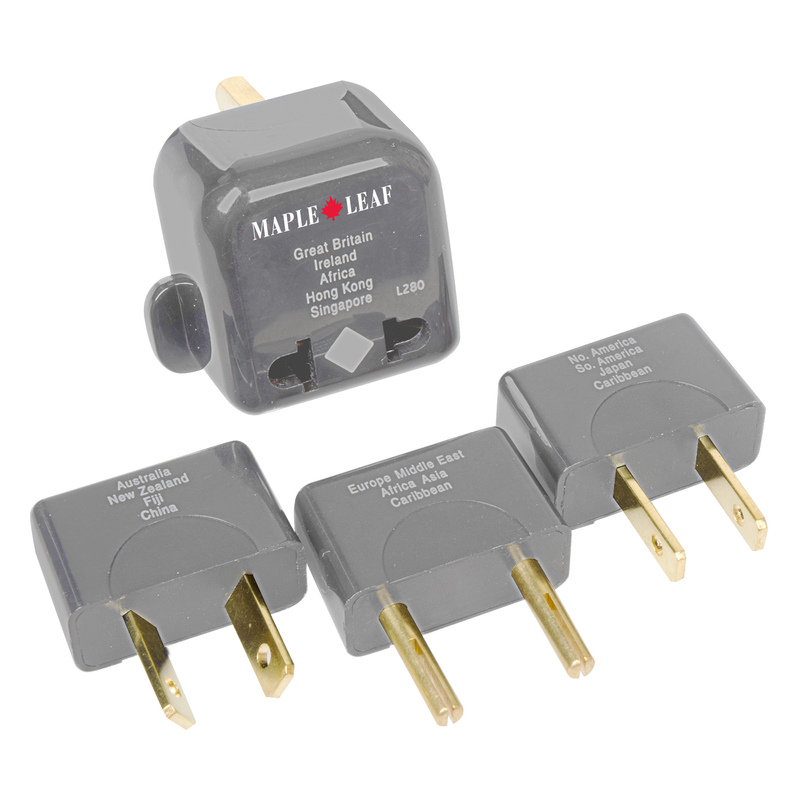 Worldwide adaptor plug reference chart, replacement fuses and travel pouch included. 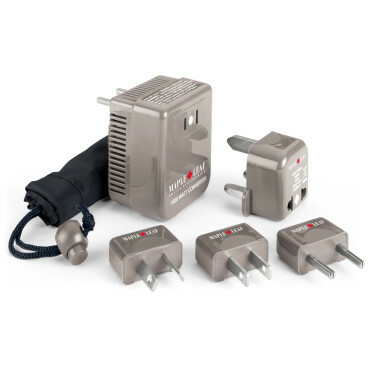 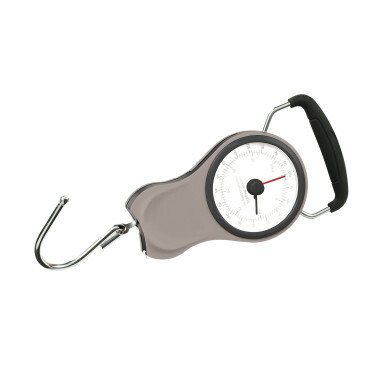 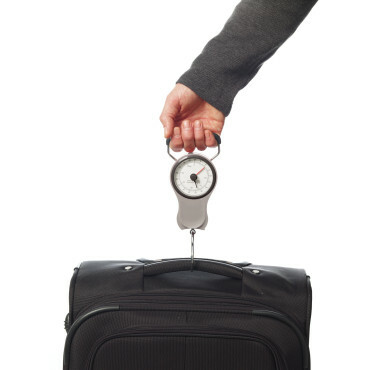 Application: 50-1600 watt travel appliances including most travel irons, hair dryers and garment steamers.